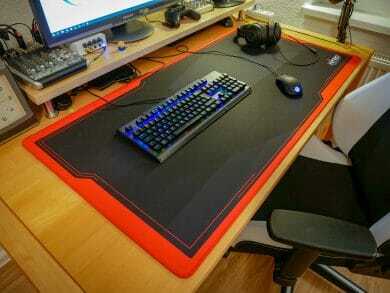 Table-sized mouse pads are becoming increasingly popular. They offer enough space for full-size keyboards and gaming mice and can even embellish a sleek desk considerably. 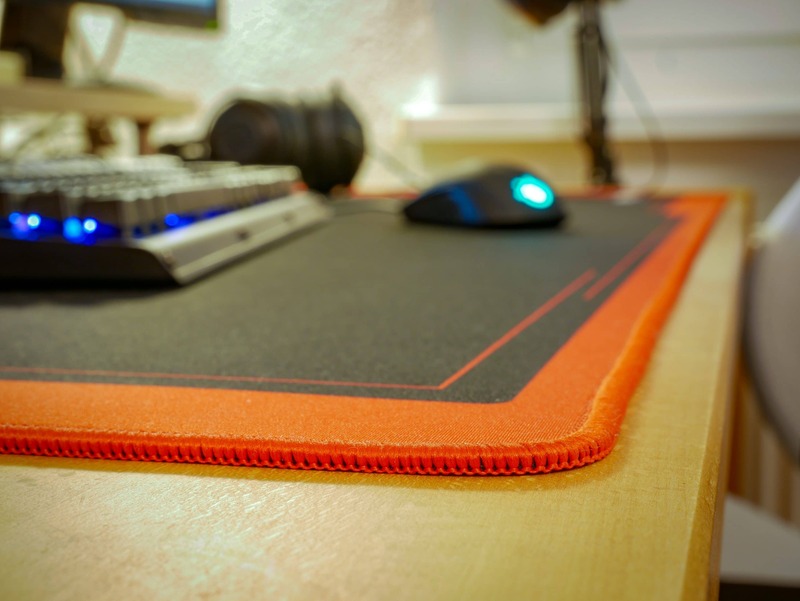 Nitro Concepts, until now known for high-quality and colourful gamer chairs such as the S300, is now entering the XXL mouse pad market with its new Deskmats DM9, DM12 and DM16. You can find out in this test how the table mats stand their ground in everyday life and under playing conditions and whether a purchase is worth it. 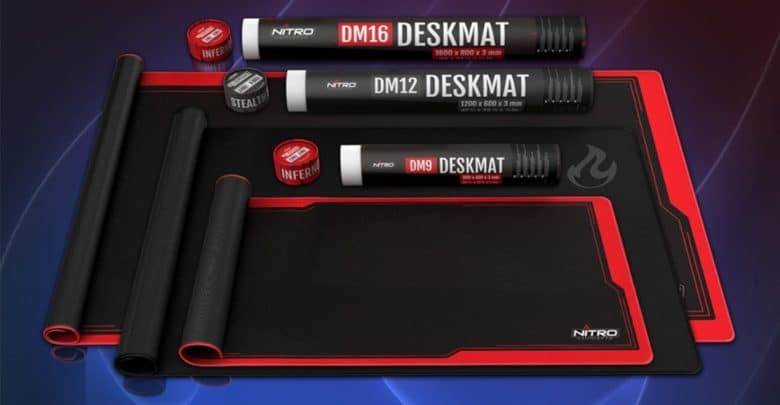 The Deskmats from Nitro Concepts are currently available in two designs. 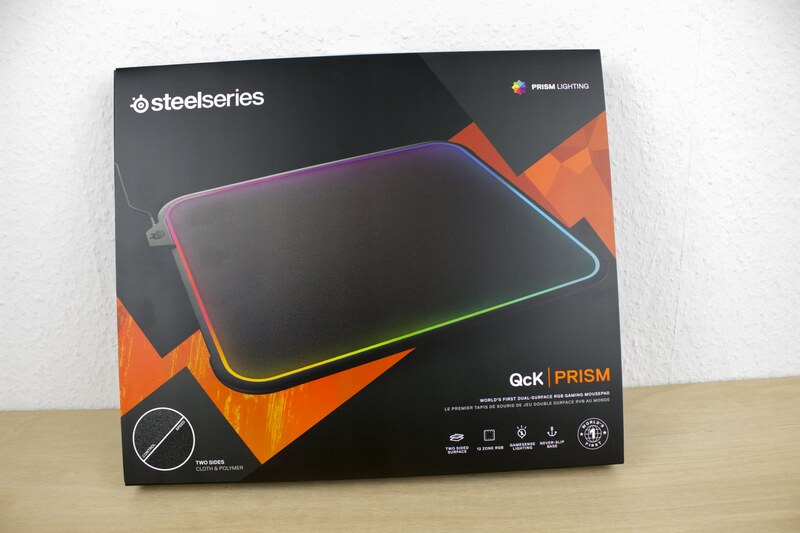 With the Stealth Black colour variant you get an elegant mat completely in black, which is rounded off by a black, slightly reflective logo. Inferno Red is the name of the stylish coloured version of the desk pad, which attracts attention with its fiery red edge and the slightly contrasting geometric shapes on the inner surface. 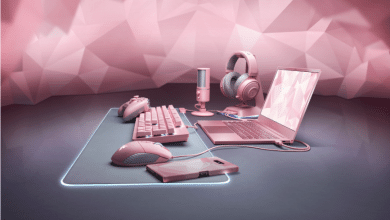 Since not every desk is the same size, the gaming pads are offered in three sizes. 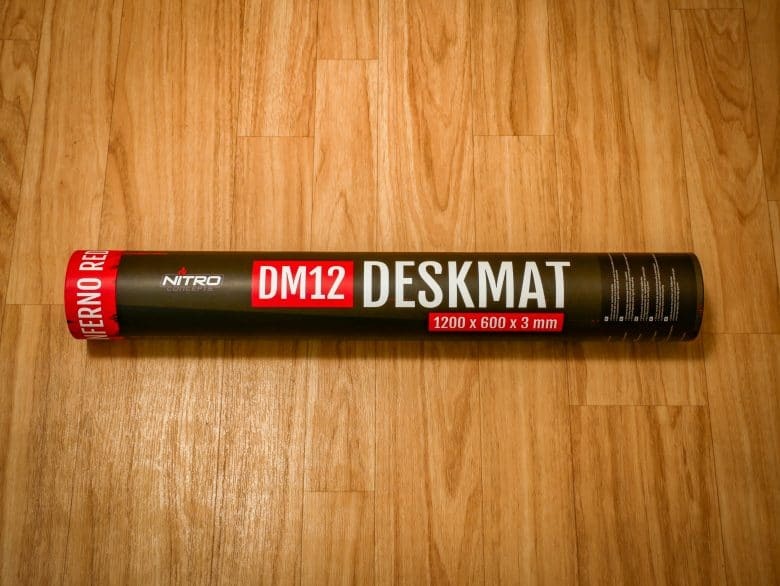 The smallest Deskmat is 90 cm long and 40 cm deep, the middle one measures 120 x 60 cm and covers most tables almost completely. The largest of the three has gigantic dimensions of 160 x 80 cm, making it suitable for any gamer or streamer with special space requirements. All pads are 3mm thick, made of a fine but tough microfiber material that feels like neoprene, and have a stitched outer edge for added durability. 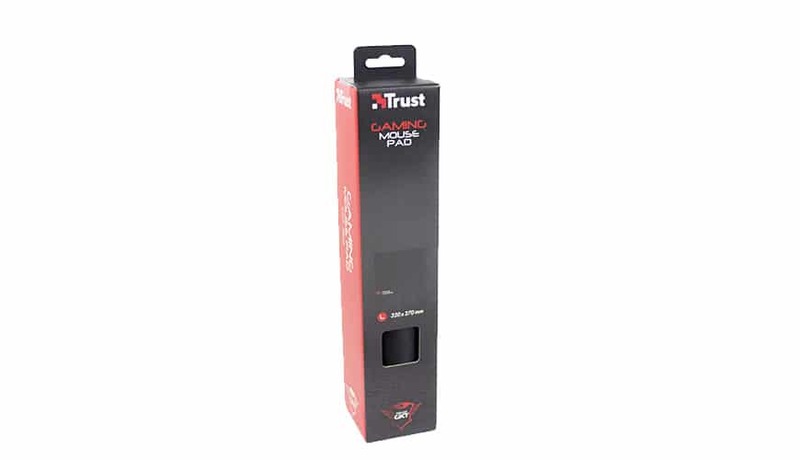 They have a thin rubber layer on the underside so that the mats cannot slip unintentionally. 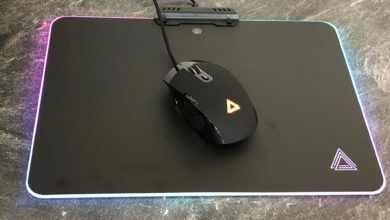 Lexip B5 RGB Mouse Pad Review: Hard Shell, Colorful Core? 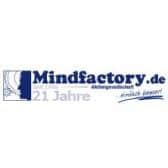 Price: € 35.90 Jetzt bei Caseking ansehen!